"Used Ray three times now, always prompt, professional service - would definitely use again/recommend !" " Turned up on time and did a good job at a good price." " From posting our job its was done within 30 minutes. Didn't charge for an old spare part he had lying around. Well done Ray for going above and beyond. Would certainly recommend Universal Plumbers & Gasfitters. " "Very pleased with the toilet replacement service provided by Ray and his son. They liaised with me re arrival time on the day and arrived on time! They were professional and courteous, and did a great job removing the old toilet without issue and installing the new one which is now performing, and looking, perfect! Thanks guys. Kerry"
"Ray, you’re amazing. Finding our underground burst pipe with your thermal equipment was incredible. Thank you for your hard work. We will be recommending your services to all our friends. Thank you so much. " "Great service, very helpful "
"I loved the family bonding while doing a job at my place. No dramas. Friendly and left no mess. Thank you for a great job done. Pleasure meeting all of you!" "Great service. Quickly found the problem and fixed it within an hour. Would definitely recommend Ray. " "Ray did a great job installing a new toilet and fixing our other toilet. Neat work too Very happy!" "Absolutely pleased with the work that Ray & Daniel did this afternoon. In between jobs, they had time to spare for my small ad-hoc gas fitting job, and they arrived very promptly. Cheers heaps - everything I wanted done was covered off really well and professionally. 5 stars." " Ray rang and assisted me with a problem gas bayonet over the phone without charge. What a gentleman to help me in this way. I wish there were more people like Ray in the world. I will definitely keep Ray in mind if and when I need work of a plumbing nature done around the house. Thank you Ray. If there were more stars I would light them up. Thank you again Marianne"
"Called Ray with an emergency broken water pipe. Sent a photo of the problem so they knew what they were dealing with beforehand. Couldn’t be more pleased with the service. Ray and his son Daniel arrived promptly and fixed the broken water pipe. They also fixed a couple of broken taps while they were here. Very friendly, efficient and good price. I would definitely recommend. Thanks Ray and Daniel 😄"
"Ray and his son were right on time and very pleasant to deal with throughout. Got the job done in good time and as quoted. We would definitely use Ray next time. Steve"
"Very professional service. And two lovely guys. Highly recommended. " "Absolutely gold class service by Ray. We were struggling to check whether it was a burst pipe or hot water problem. Ray tried to help a lot over phone to save me money upfront as it’s a Saturday. Eventually he had to come over which he readily made time for us at short notice. Found the fault and repaired it. Very experienced plumber. Highly recommended and we will definitely call out to him again if we need assistance. " " Great service. Great help over the phone to trouble shoot on Friday afternoon. When the problem couldn't be fixed by us as Ray talked us through, he was there to fix the problem the next morning (Saturday). Ray, the owner of the business did a great job, cleaned up after him and disposed of the rubbish and the old hot water system, on time as quoted. Very happy." 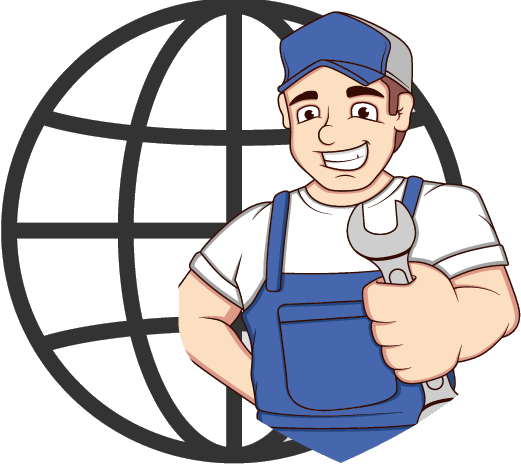 "Highly recommend fast efficient and honest plumbers. Excellent job." "Thanks so much to Ray and Daniel - arrived on time, were friendly and helpful and fixed the problem! I will be calling them next time. " "on time and got the job done efficiently and cost effectively. " "Friendly and helpful service provided, and now every things works well. Thanks guys; I have kept your fridge magnet for if I ever need a plumber again." "Great Father Son team Friendly and professional Did an excellent job of fixing my hot water system and installing a water pipe for our Fridge/Freezer"
" I had Ray's service on Saturday 10/2/18 for fixing pressure in our hot water system. The service was absolutely excellent, honest, professional, and very friendly. With many years of experience, this is the most professional plumber you can get our problem done with no slacking work or dodgy charging. He's very open to questions and verification, but the most impressive moment for us was he always takes his shoes off even though how many times he needs to walk pass our floor. You would never find any plumber being so caring, thoughtful and super respect to you and what he does was outstanding. I can't recommend him enough, he will always be our forever plumber we won't be looking for anyone else. Thanks so much Ray....Ace"
"We highly recommend Universal Plumbers for all your plumbing needs. Ray & Daniel are always happy to help and complete the job on time and ALWAYS leave the area spotlessly clean. They have been doing our plumbing work for 15 years, from replacing our hot water system to general plumbing repairs. Thanks guys for another spot on job! Your honesty and pride in your work is the reason we highlt recommend you to our family & friends." "The job was completed almost within an hour of posting. They were excellent in efficiency, manner and advice. I woul definitely use this company again and recommend then to family and friends. " "Ray and Daniel helped us out with a new kitchen installation and really understood exactly what was needed. Ray is really responsive too. The price was good too! I'd recommend these guys without hesitation and would definitely use them again." "Ray provides excellent, fast and honest service. He’s a trustworthy plumber who has been in the business for 40 years, so knows how to accurately solve the problem. His honest advice saved me headaches further down the track. He’s the only plumber I will use. Rich/Gwelup"
"Great service ! Ray helped us with our plumbing problem during holiday period within less than an hour after I posted the job. He was really clear about the details and all questions we have asked . We would definitely recommend his service. " "Excellent professional service. Highly recommended to anyone in need of a plumber. A pleasure to deal with Ray and his son. Thanks again guys. " "Extremely pleased with the prompt and professional services provided by universal plumbers and gas fitters.They were extremely clean and tidy in their work. The fees charged were the least expensive of all quotes.Well done Ray and Dan expect a call when next I need a plumber . Thanks Joe"
"We’ve been using Universal Plumbers for 27 years and in that time they’ve always been prompt, professional and totally reliable. We owe them a huge debt of gratitude for keeping the plumbing of 2 old homes in perfect running order during that time. Thanks a million Dan and Ray! " "They were fantastic highly recommend "
"Prompt service, job well done as promised and no mess at all left behind. As he managed to finish the job earlier, he charged us less that what he quoted." "The job was completed on time, on budget, to a professional standard and with good communication." "These guys are awesome. They responded to the ad right away with a fair price so I didn't have to waste time from my busy schedule waiting for more quotes, then finished the job by the end of the day!" "Ray and Daniel did a fantastic job. Gave me good options and then completed the job in a timely and professional manner. Great service and cleaned up the work area after completion." "Ray and son Daniel came out to fix my hot water system- they were friendly, efficient and clean workers. They were also very reasonably priced compared to other quotes I had received for the same job. They will be my go to plumbers from now on and I would highly recommend their services to anyone. " "Prompt service, job well done as promised and no mess at all left behind. All at a fair price as quoted." "The guys did a great job with some burst water pipes near my hot water system. They were honest, worked hard and turned up on time too. Would highly recommend to anybody in the Perth area, as you know you will be charged a fair price for the worked performed. Thanks again! Regards, Paul "
"Very quick, efficient and on-time job done by Ray and Daniel. Very happy with the overall service (from initial communication to completed job) and I'd highly recommend them. I'll definitely be using Universal Plumbers & Gasfitters again." "Ray & Daniel came to fix up my hot water unit, they were on time, professional and best of all at a very good price!" " Ray has a very pleasant manner. He arrived a few minutes before stipulated time (most unusual for many tradies) , cleaned all the outside drains to ensure roots from the park were removed and now I have flushing toilets and clean drains. Thanks Ray. " "Ray and his son, Daniel, are honest tradesmen I am so fortunate to have come across. Ray identified my plumbing problems from an expert's POV and explained the possible solutions and outcomes. I was informed through the process and charged at a very reasonable price. I am very happy with their workmanship and the integrity of their business. Highly recommended." " Great service by Ray. On time and offered correct advice. Most important - did not charge an arm and a leg. Will use again and recommend to friends!" "Highly recommended, arrived on time, very efficient, very open and honest about the work required, left the house clean and tidy afterwards. Would definitely use again!" "Fast response. Came in cheaper than the original quote. Only a small job but a great end result. Would definitely use again and recommend. Thanks Ray!" "Ray was great to deal with - arrived on time, was very helpful with my queries and quoting to understand what was required in the jobs, and left the area clean and tidy when the work was complete. Will definitely use their services again." "Ray was fantastic. Very happy with the job. :)"
"Great prompt service, on a Saturday too. Ray tried to talk me though resolution on the phone first and when that didn't work came over and fixed the issue quickly. Family happy we have hot water again on a cold and rainy weekend." " nice father and son tandem, work so fast and quality,! a++++++++++++++++++"
"I found Ray from Universal Plumbers and Gasfitters online and called their business after seeing positive reviews on Service Seeking. Ray and Daniel were more than accommodating (a gas leak on a Friday afternoon!!) and came over as soon as they could that afternoon. They explained the work that needed to be be done and the costs associated with it. They were efficient, tidy and friendly. I would totally recommend them to anyone that requires a plumber.<br/>"
" Great job done & on time! Highly recommended! +++ "
" Ray responded to my emergency situation late friday arvo and sorted a temporary solution within 2 hrs of posting a request. He then followed up with a permamant fix at a good price. Thanks for your help." "After putting off my plumbing job for way too long, Ray and Son came to the rescue with a solution that solved the problem quickly and very reasonably. Definitely recommend this team as they are trustworthy and they offer great advice. " "Provided an excellent service and arrived in a timely manner. Ray gave an honest and upfront advice and pricing. The best part was he didnt charge me for a quick inspection of the gas hot water unit. Ray and his son did a great job and highly a recommended local trademan in Stirling!" "Wonderful service. Fast and inexpensive. Highly recommend." "Great father and son company, very helpful. Ray was willing to help me over the phone at no charge. Unfortunately i still needed his services (or fortunately depending how you look at it). He came out on time on time and was great to deal with. Would happily use him again and recommend you do too"
"Professional and prompt service. Very happy with the work he completed. " "From the time I searched to the time the job was done was only a couple of hours. And on a Friday arvo before a long weekend. Awesome outcome for me and a quality professional job done." "Ray & his co-worker (sorry I forgot his name) were very professional and of great help! Very efficient and knowledgeable people who are also very friendly. Will be recommending his services to anyone I know and definitely use him again. Thanks guys!" " The plumber was on time and fixed the problem very quickly and inexpensively. I can definitely recommend this company." "Ray was prompt and well organised. He carefully explained what he was doing, and why, as he went along. He gave lots of alternative advice and explained how I could do some aspects myself. He was very knowledgeable, even of older plumbing. I would use him again." "Ray is prompt and effective in providing the service in clearing the choke in the kitchen sink. His charge is reasonable too. " "Ray had completed the job required at such short notice (same day) He was professional and prompt and I would recommend him to others seeking work to be done." "Ray arrived on time and was very professional. He recommended a solution which should resolve the problem completely, rather than the short-term fixups we had from other plumbers." "Posted add. 5 minutes later we had a time for the next morning. On time, professional and friendly. Advice which was given free of charge will safe us money in the future. Bill was way under what we expected. Highly recommended. A Highly proffesional company." "Superb service! Quoted me within 5 minutes of ad going on site. Arrived promptly. They were both professional, efficient and friendly. Would highly recommend." "Ray & Dan were on time and did a fantastic job. They cleaned up as they went and offered advice on other areas. Will definitely use again"
"Ray is a reliable, experienced professional. He fixed the issue at almost no time with confidence." "Great friendly service. On time and efficient." "Ray was fantastic fixed the problem quickly and well great service i would highly recommend him Thanks again "
"Very quick, friendly, and will use again. Thanks guys"
"Very helpful and quick . Would use the company again in the future . Thanks guys "
"Ray was very friendly & reliable. He arrived when he said he was going to and talked me through exactly what the issues were and what my options were for repair. I have absolutely no hesitation in recommending this business and will definitely be calling on Ray should I require a plumber in the future." "Ray was prompt with his quote and follow up. His communication was clear and friendly. He arrived on time and had the job completed in no time. The tenants at the property were happy with his approach and work. " "Ray and son Daniel attended within 24hrs. They were very efficient and good people to deal with. I received a text informing me that they would be 30 mins later than arranged which i appreciated. Ray had all parts required in his well equipped van." "Very friendly and professional. fixed the problem quickly and without fuss. Gave great advice and Ray has been put on our "Keep this Tradie" list. " "Very professional and friendly service. identified and fixed the problem in no time, Would highly recommend to anyone seeking a plumber." "Very happy with the work ray has done for us and we have called him out again since. Thanks :)"
"Very quick and good service. " "Showed up on time. Was polite and professional. Didn't cut any corners and did a great job." "Ray cam with son and fixed my 30 year old gas hot water system in one go , I highly recommend him for all Hot water system as he has more than 40 years experience and his charges are very nominal. Thanks Ray for the quick fix of my old hot water system." "Excellent service, Ray is very professional and provided a great service. Thanks Ray"
"Very happy with the service. They actually agreed on a time and then came at said time! No waiting around all afternoon. I texted photos of our problem and Ray was able to advise the issue and what needed to be done so I didn't have to worry about them coming once to diagnose the problem and then organising a second time to fix it. Ray also gave me some practical advice on maintaining our hot water system which I would never have known otherwise. " "Ray and son did an excellent job for us. They were on time, quick, efficient and true professionals. They provided advice and sorted an issue with the Water Corp also. I would highly recommend this dynamic team to anyone." "Very professional. Very efficient. Came on time. Completed job to a high level and was gone within an hour. Both Ray and his son were very professional and qualified. Did an excellent job on all 3 repairs I requested. Would highly recommend!" "Reasonable job. Everything was done as expected!" "Very quick, efficient, informative and honest. The price quoted was also good! Would definitely use this business again. " "Universal plumbers were great. Reasonably priced and fast, efficient and friendly service. Couldn't recommend them highly enough. Thanks guys "
"Excellent service. Very obliging and helpful. Arrived on time and got the job done quickly. Would be happy to call Ray next time I need a plumber." "Ray was really helpful, informative and had the best rate, look no further, hire Ray! Highly recommended!" "Pleasant and professional demeanour, reasonably priced and excellent results with resolving my issue reported to him. Thanks Ray." "Ray really was an expert, his service was almost as instant as it gets, his price was the best and he was thorough, professional and we'd definitely use him again in the future. He's been doing his trade for over 30 years, well and truly long enough to be the best." "Definitely recommend Universal to others. Rapid response and completed the job without fuss"
"He did it very quickly everything went very well"
"Very prompt and efficient service!! It was done "
"Universal Plumbers & Gasfitters were very prompt in attending to our plumbing needs. This is the second time I've used them and I'll definitely be calling them again should the need arise." "Ray attended to my quote request within 10 minutes. The information provided on the initial contact via SMS (my preference) was exactly in response to my quote request. The quoted figure was spot on the mark and two hours later the work to replace a hot water system was completed by Ray and his apprentice. Great bloke to chat with and also very professional! Thanks!!" "He was right on time and did the job on the price that he quoted. Great service! Thanks." "I am very happy. It was great. " "They were excellent! Cleaned one of the hoses and replaced it and it was really good. I am very impressed. I was very pleased with their work. " "Ray replied to our request within a couple of minutes by e-mailing and calling, he came over to inspect the job, quoted and could do the job the next morning, and he had the best price! ...as well a Hot Water System that performed better for a marginal difference in price. It was clear to both my husband and I that he gave the best advice (price too) after he spent the time to listen to our problems & needs, after inspecting he quoted on repairing our old system but warned that a 11yo system could have problems further down the track. Ray saved us money with the exact same system that was $200 cheaper. Thanks to Ray, our daughter will still be getting her trampoline for Christmas (Our HWS stopped working the week before Christmas). He was ethical, proved he was honest (another plumber quoted a lot more, acted dishonestly and didn't bother to come to inspect the job), Ray tested for gas leaks, advised us about what he was required to do by law in advance (for the safety of our home and family), and called back when he said he would! Very responsive and thorough. An exceptional service!" "Ray and his Son came to replace an old leaking tap in the bathroom. They arrived slightly early (unheard of) and were both very friendly and professional. They did an excellent job for the quoted price and even gave advice on where to get taps for a better price. I'd strongly recommend Universal Plumbers and I've already past on their number to my parents." "He came with his son when they did my job request. Both of them were really excellent. I would definitely recommend them to others. Thank you so much for your service!" "Ray was the first to respond actually in 8 minutes of posting the job. Very reasonable price compared to the other responses. Was able to do the job very quickly which I needed and communication was excellent. Ray and his son Daniel were very polite and professional and did a fantastic job and cleaned up afterwards. I would definitely recommend using Ray and his son. I have got their business card for any future jobs. Overall 10 out of 10 from start to finish. Thanks Ray and Daniel." "Quick, very good and job very well done." "He was great. Job well done. " "Ray was such a nice genuine guy. The reviews definitely helped me choose from the several quotes I received and although Ray's quote wasn't the cheapest, the pricing description made sense. The job wasnt as straight forward as expected but still came in under the quoted price but then i added another job on top so that only cost a small amount. When I update the rest of my taps Ill be sure to contact Ray. I have to say the other quotes were good so I had to read the reviews to make my selection. Also very happy using SeviceSeeking making life so much easier approaching Tradies for quotes. Bonnie"
"Ray was first to respond, offered a good price, kept in touch until arrival, and did a fantastic job and cleaned up afterwards! I would definitely recommend using this business again - Ray was such a nice person to deal with, and his son Dan was a lovely example of everything a young man should be. Well done Ray. And well done ServiceSeeking - made life so easy!" "They were brilliant. They helped me save money and I am sure to get them again in the future. " "He was good ! Really good. We're very happy. " "Thanks Ray for getting the job sorted out so quickly." "Prompt & reliable job, I would call Ray again. Thanks, Paola"
"Top plumber. Highly recommend. Very prompt and good communication and pricing"
"Work was fantastic. He's really good! Already recommended him." "Job was to remove old toilet and install new one. Excellent service and final price were less than quoted. Ray even helped us install the new kitchen sink correctly. Very tidy work and gave good advice on other plumbing issues around the house. Thank you Ray and Dan. Tips: send him pictures so that he knows what exactly is your problem." "I bought a gas heater, but found that the gas bayonet on my wall did not fit the fitting on the gas heater. I arranged for a gas fitter (Jim's Plumbing) to come and change the gas bayonet. After almost two hours (of which 1 hour was spent in the garden digging for the gas line - you should almost think I booked Jim's Gardening services :-) ) and $400 later I was told that the gas bayonet could not be changed and I was given a quote of $1500 to fix it and re-install a completely new gas line. I decided to seek additional quotes via serviceseeking.com. Ray replied within a few hours with a quote that was 1/3 of the quote I was given. After talking to Ray over the phone he came by the same day to have a look at the issue and the job. He had several suggestion on how to approach the job and he assured that the job could be done for less than his quote. It was very clear from talking to him how knowledgable and experienced he is. Though Ray was busy, he went out of his way to arrange for the job to be done as early as possible, and came by on Saturday morning with his colleague Jay to do the work. The work was carried out within 1 hour by replacing the gas bayonet (which I was told by Jim's Plumbing was impossible to do) and installing ventilation. The price came to less than Ray's first quote and at 1/5 of the original quote given by Jim's Plumbing. Actually, in the end I paid less for Ray and Jay to do the work than I spent on the guy from Jim's Plumbing telling me what needed to be done, which turned out not even to be correct. I am very satisfied with the services from Ray and can only give him the highest praise for his honesty, professionalism and great work. I would therefore strongly recommend Ray. It is nice to know that there are still honest and reliable workers as Ray around that take pride in their work. I will use Ray for any future plumbing and gas fitting work, and feel like I gained a friend. Thanks Ray and Jay." "Very Easy to deal with friendly and helpful. Finish it Early. " "It was a pleasure doing business with Ray. He gave us the quote over the phone, brought all the materials required for the job and was fast and efficient on completing the work. All with in the quote given. He also gave us some free advice on maintaining our solar heating. We will call on Ray for any future plumbing requirements." "High quality in workmanship, the follow up was appreciated and prompt service. His personality made the experience easier. We would recommend Universal Plumbers over any other plumber we have had in the past. Excellent Service AA+++"
"Ray and his apprentice were very efficient- they got back to me quickly, I sent in photos which Ray was able to quote me on, he bought materials and did the job for me the very next day. Reliable, honest and friendly and my plumbing problem fixed within a day. Will certainly use Universal Plumbers for all my future plumbing problems. " "I had an emergency blocked toilet on a Saturday. A different plumber came, made a mess of the toilet and left unable to fix it saying 'big problem' (not very helpful). Ray took my call, followed up with a text (when I was trying to contact my strata) and came out on the same day. He came with his son and fixed my toilet with his drain machine. He's reliable, honest, helpful and knows what he's doing. Ray's ad alone sells himself but if you need any recommendations, I wouldn't hesitate to recommend him to anyone and will use him for any future plumbing jobs. " "Excellent workmanship. Ontime abd fairly priced. Highly recommended. " "Very happy did a great job and very reasonable pricing will definitely use them again and can recommend them to anyone "
"It was excellent. Many said that they can do it in a couple of days but he did it on the same day he quoted on the job!" "Very happy with my service from Ray!! Thought we were going to have to replace the whole toilet system but he was able to fix the problem and save us a fortune! Ray was the cheapest quote I found, came out on a Saturday morning, on time and very efficient! I highly recommend him and will certainly use him again if needed in the future :) "
"I am quite happy with Ray's work. More to that he is really honest in pricing and keeps his word. May God bless you. Keep it up." "Really nice guy with his apprentice son. Did a great job and clean. Would definitely recommend him and use again myself for any future work." "Extremely happy with Ray. He moved a hot water system for me. He came and looked at the job the same day, and carried out the job the next day. I was very happy with his price and his service. I would definately recommend him and will use him again if needed. " "Wow what great service. On time, Reliable and got the job done. Exceeded my expectations. Thanks Ray"
"He was very good and very efficient. Did a great job at a reasonable price. " "I lodged a request on Service Seeking on a Sunday. Ray called the same day and discussed the plumbing problem. Appointment made for 7.30am 20th May. He arrived on time. This is a great father and son team. Very professional, clean and tidy. Our problem was fixed within the half hour with very reasonable cost. " "Very prompt service, good price and cleaned up afterwards. Highly recommended." "I was so pleased with the service I received from Ray. He was the first to email me back once my problem had been submitted. Once I contacted him, he made it really easy. I text a picture of my shower taps that were leaking (different from standard ones) and he rang me straight back to explain how they could be fixed. He offered a very fair price for the job and we arranged a time for the following day. Ray called before he was turning up and fixed the problem in 15 minutes. So easy. " "Professional, friendly and efficient - fair price for a good job.<br/>Reliable - Highly recommended service"
"On time, reliable and reasonably priced service, will definitely be using Ray again."